Plinth hire is a popular choice when you have a short event, for which you need to display items. What Size Plinths Do You Have In Stock? Hire plinths are available in spray finished satin white. What weight will they hold? The plinths are made from 12mm MDF and lock mitre jointed together. They will hold up to 100kg of evenly spread weight. We can manufacture the plinths for hire so that they can hold heavier weight if necessary please state this in your enquiry. They weigh themselves, about 10kg each. The 30cm and 40cm plinths are easily moved by one person but 50cm and above would need 2 people to move them around. How Far In Advance Do I Need To Book Them? We can offer plinth hire in London and Birmingham on a next day delivery if booked before 3pm depending on our schedule. Otherwise, we can ship the plinths worldwide at short notice, however it is common that all of our plinths are being hired at the same time, so booking in advance is advised. What If I Need To Hire Something That’s Not In Stock? Please contact us if you wish to hire something which is not in our standard range. 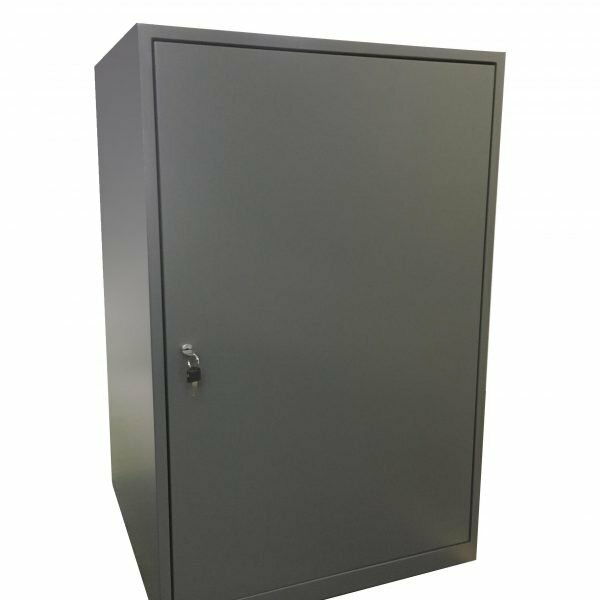 We can manufacture bespoke sizes for hire, however in this instance it is usually more cost effective to purchase if you want something tailored specifically to your needs. Can I apply branding to the hire plinths? We can apply contour cut vinyl graphics to your plinths in house. We ask our customers not to apply vinyl graphics in order that the spray finish is maintained and all customers get the same perfect finish. Stickers and tape damage the sheen on the paint so we request we use our own vinyl. 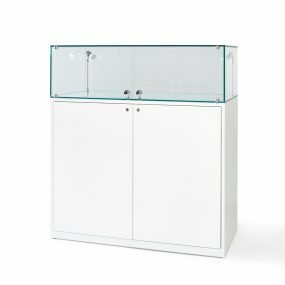 Here at exhibition plinths, we not only hire plinths but Glass Display Cabinets, with battery powered lighting. Click the blue text to see the glass cabinet range available. At Exhibition plinths we make it very easy to hire plinths in order to showcase your products to your customers, The difference between a pristene spray finished white hire plinth and a hand rollered hire plinth is very noticeable when displaying any type of art work, jewellery, ceramics, sculpture or retail products. 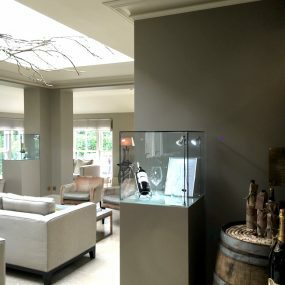 Plinths can be arranged for hire with glass cabinets, acrylic cases or alone, with or without our unique battery powered lighting systems. You can have plinths branded with your logo or a caption of words, or product information removable vinyl placed on the front / top of them. If you want to add graphics to a plinth hire from Exhibition Plinths we ideally require the artwork in either .eps .ai or vectorised pdf file formats, if you are not able to supply your graphics in this format, then for an additional charge we are able to either recreate you design or vectorise your images. Graphics on hire plinths for branding are placed on with removable vinyl here in our workshop so you can just set up and go, no more bubbly vinyls, let us do the hard work for you. One of the key advantages to hire plinths from Exhibition Plinths is that you can leave the event and let us come and do the hard work of carrying the plinths away. No more lugging them around or having to work out how they will fit in the car with everything else!